With the rising need for alternative treatment options for musculoskeletal conditions, it seems that the world is moving to the future—where the possibilities are endless. More technologies are now transforming the medical industry—giving hope to millions of patients and key industry stakeholders. For instance, Synergy Wellness Chiropractic & Physical Therapy in New York City takes advantage of this innovative, safe and effective technology, and the discovery of MR5 Active Pro with LaserStim has made it possible to treat different musculoskeletal conditions in the most convenient, effective way. Far too often in today’s healthcare system, patients are being let down by their healthcare providers. As the patient at Synergy Wellness Chiropractic & Physical Therapy in NYC, you deserve to be guided back to health appropriately and efficiently. Too many injured and ailing people are not being thoroughly evaluated, therefore not receiving appropriate conservative care, nor are they given a game plan to prevent the pain or injury from returning in the future. 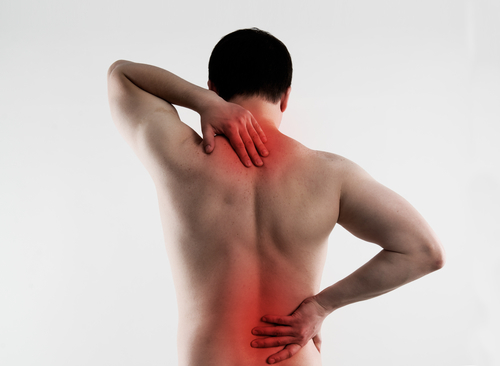 There are many types of ailments and illnesses, but for this article, we will be discussing musculoskeletal pain and injuries. Choosing the best running shoe to prevent foot, ankle & knee injuries; whether you’re a heel, mid-foot or forefoot striker. Choosing the best running shoes to prevent foot, ankle & knee injuries; whether you’re a heel, mid-foot or forefoot striker. In 2012, I was training for the Ironman US Championships in New York City held in August of 2012. Five months before the race I switched my running shoes from a Saucony Triumph to Saucony Kinvara, their new racing sneaker. I liked the colors better on the Kinvara, but the sales rep didn’t explain what I was getting myself into. Shame on me for falling for “the lightweight racing sneaker” bit. I should have known better, not only being a long time triathlete but a chiropractic physician as well. Read on and let me spare you the unnecessary injuries ahead of time! Synergy Wellness provides comprehensive professional healthcare services, wellness treatments, and therapy. We offer a whole unique body, drug-free approach to help you reach your wellness potential. Copyright © Synergy Wellness 2018. All rights reserved. Developed by:	Propel Marketing & Design, Inc.